Partners from Belarus, Ukraine, Armenia and Moldova shared their experiences in implementing projects from the cultural and creative industries. They also concluded how their experience and knowledge could be useful for the Creative Europe program applicants. 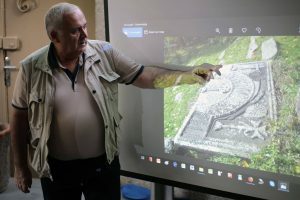 Potential applicants for the Creative Europe program, who are working to preserve the cultural heritage and already have experience in implementing grant projects in Armenia, joined the working session. Invited participants presented their ideas for projects that could potentially receive grant support from the Creative Europe program. International experts gave feedback to the authors of ideas, and also helped to articulate the concepts of the projects. 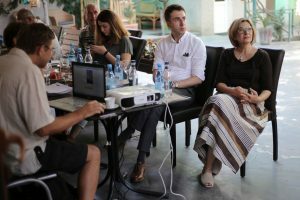 Vahe Budumyan, Deputy Minister of Culture of Armenia, as well as Svetlana Pochumban and Orest Dabidzha, representatives of the Ministry of Culture of Moldova, also joined the pitching of ideas. During an informal communication, Mr. Budumyan assured that he would in every way contribute to the quality implementation of projects that will receive support from the Creative Europe program. The main condition for the implementation of projects under the Creative Europe program is the existence of substantial co-financing in the amount of 40-50%. Therefore, many potential applicants were interested in finding financial resources for their projects. Such a large percentage of co-financing of projects in the field of heritage can be provided with a thoughtful partnership with commercial organizations or municipalities. And this, in turn, affects the content of the project idea, the circle of interested parties with which it is necessary to hold consultations. Also, a separate session was devoted to the search for international partners and the coordination of cooperation between them. The participants in the working meeting discussed the content of the instruction for potential applicants from Eastern Partnership countries, and in particular for those working on the subject of historical and cultural heritage, to help them prepare their applications for the Creative Europe program. It is planned to be distributed to those who seek advice and assistance from the “Creative Eastern Partnership” project partners. 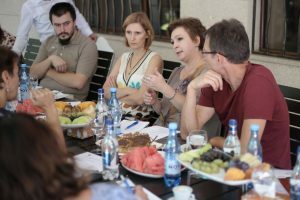 The international “Creative Eastern Partnership” project offers advice and assistance in participation in the Creative Europe program for the organizations and initiatives working with cultural heritage in Armenia, Belarus, Moldova, and Ukraine. The project is being implemented from June 2018 to January 2019, with the support of the Eastern Partnership Civil Society Forum. 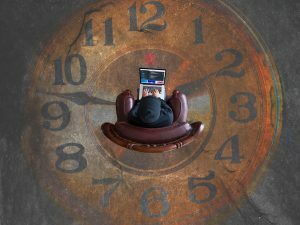 Within the project CSOs can get not only assistance in filling out an application, but also contacts of potential partners. As a result, the project plans to assist in finding partners, processing the project ideas and filling out application forms to about 30 organizations from 4 countries. Ukraine– Center for Cultural Management (consultant – Ihor Savchak, isavchak@kultura.org.ua). The applications for consultation are accepted in a rolling-basis until 30 November 2018. Other and general questions are welcome by email: creative.eap@gmail.com. raise interest of EaP-countries funds, business or authorities to invest in the Creative Europe opportunities. The project is being administered by the Centre for Cultural Management who initiates, engages in and supports activities that catalyze positive cultural change in Ukraine on the individual, organizational and societal levels and in the public, private and civic sectors.